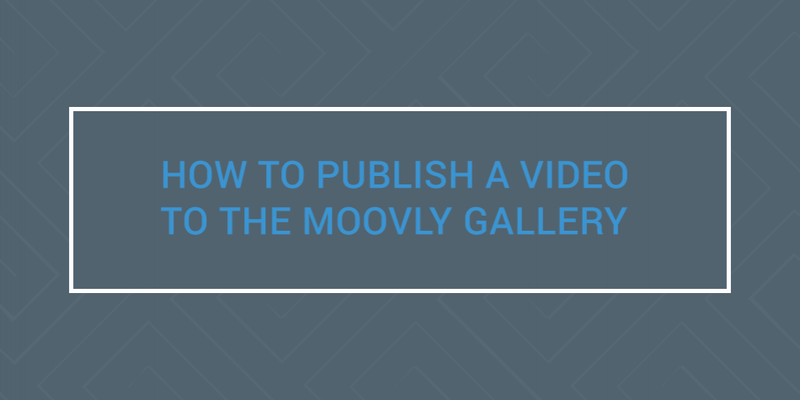 For those of you who haven’t already noticed, our platform now allows you to publish your video directly to the Moovly User Gallery! This feature enables Moovly users to publish their Moovs and share their creations with the rest of the world! The whole scope behind this is to provide Moovly users with the right inspiration, so they too can create awesome videos and share their ideas. Visit the Moovly User Gallery and see for yourselves! Or check out the staff picks and get inspired, get creative, get involved. As the videos in the Moovly User Gallery are public, you may want to pay close attention to their title and description and make sure you are not violating any copyrights. Be sure to give your Moov the right details that really suit your video and tell your story. Once your video has been published, you can then proceed to share it with others. It doesn’t end there though, once your video has been published in the Moovly User Gallery, you can embed it onto other websites. Embedding is such a powerful technique! Whenever you update your source video in the Moovly Gallery, all embedding websites will immediately get the updated version of your video. Talk about time-saving. Feel free to test it out! We hope we have given you all the inspiration you need to help publish your videos and share your creativity. Sign up here and try Moovly for free!